Gold medal-winning triple-jumper Jonathan Edwards and former dancer Deborah Bull compare notes. 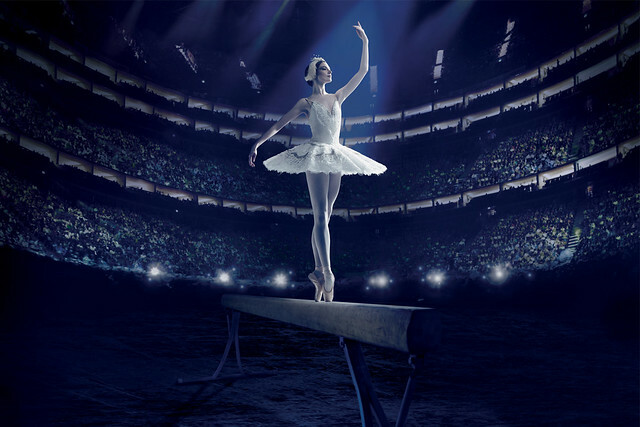 It’s entirely fitting that the Royal Opera House has joined forces with BP and The Olympic Museum to host the unique The Olympic Journey: The Story of the Games exhibition in July and August. There are plenty of parallels between the world-class dancers and singers who appear on the ROH stage and top-level athletes. We highlighted some of these in the last four videos in the ROH World Stage series, which showed artists such as Lauren Cuthbertson, Edward Watson and Angela Gheorghiu filmed in a sporting context. Who better to compare athletes and artists' rigorous training and dedication to excellence than Jonathan Edwards, world-record holder and Olympic gold medallist in the triple jump, and Deborah Bull, a former Royal Ballet Principal and Creative Director of the Royal Opera House. ‘I didn’t do classic jump training, but I did depth-jumping, off one box and onto another,’ says Edwards. ‘Obviously the triple jump is all about being able to absorb force and then respond. I was able to do that better than anyone else.’ Watch Edwards in action. That action is known as eccentric loading and Bull says there’s an obvious parallel with ballet. ‘When a muscle is at full stretch, at the bottom of the landing from a jump, the hardest thing is for it to contract to spring up again – quickly – as in the 32 fouettés (in Swan Lake). Watch exactly how a fouetté is performed. So next time you watch a Royal Ballet Principal making those 32 fouettés look effortless, remember that it demands the strength and skill of an Olympic athlete. The Olympic Journey: The Story of the Games is a free exhibition at the Royal Opera House from 28 July to 12 August, 8am–7pm. Find out more in our News and Features section. This feature was adapted from a piece originally featured in About the House magazine, received quarterly by the Friends of Covent Garden. Why not put Lauren Cuthbertson to act in Don Quixote, along with Steven McRae?